Dorsal view of Parabelbella striata, from Xie & Yang (2009). 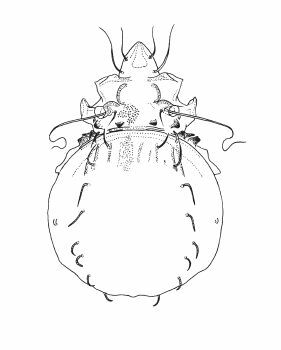 The subgenus Tectodamaeus of the genus Parabelbella is a group of damaeid oribatid mites found in eastern and northern Asia (Subías 2004). Characters (from Balogh & Balogh 1992): Notogaster with setae adnatae absent. Setal formula of trochanters I–IV 1-1-2-2; setal formula of genua I–IV 4-4-4-2, seta d formula of genua I–IV 1-1-1-0; seta d formula of tibiae I–IV 1-1-1-1.